A spacious comfortable apartment part of the owner's home with its own entrance. 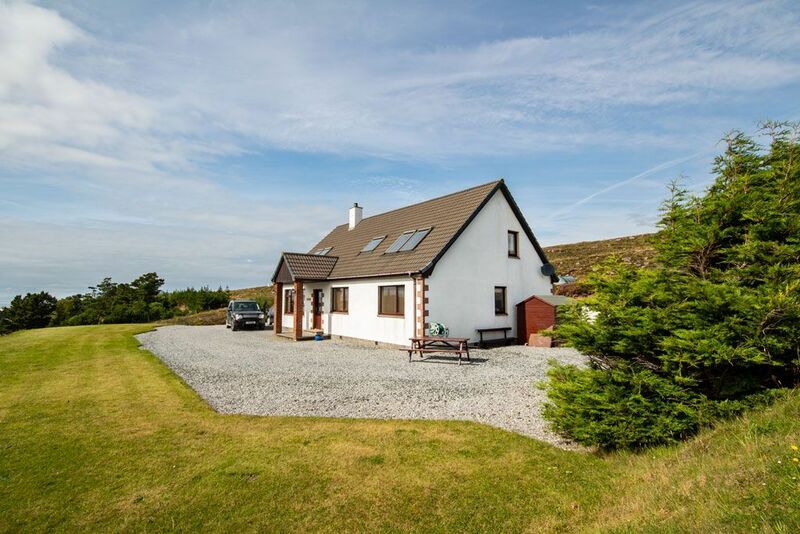 Situated in the township of Port Henderson on the West Coast of Scotland enjoying uninterrupted sea views and the surrounding countryside. This is the perfect base for discovering the Scottish Highlands at any time of year, whether you are looking for lazy strolls along sheltered beaches or climbing one of the many Munro's in the area. Enjoy activities close by such as sea and loch fishing, boat trips, pony trekking and cycling. Wildlife and fauna are all around, with deer, birds of prey and sea life in abundance. The Fairy Lochs at Badachro are notable as the crash site of a World War 2 Bomber. The nearby town of Gairloch, an award winning museum, golf course, water sports and fantastic restaurants can fill any wet or dry day. The accommodation offers TWO bedrooms: 1 double with en-suite shower and WC and 1 further double. Bathroom: with bath and WC. Lounge/kitchen/diner: open-plan with Flatscreen TV, Freeview, DVD and Wi-Fi. Dining area with open views. Kitchen area with electric hob, oven, microwave and fridge/freezer. Utility room: with washing machine and tumble dryer. Outside: garden with seating. Amenities: ample parking. Bed linen, towels, electric and central heating included. Regret no smoking. Regret no pets. Location: beach 2 miles, shop 7 miles, pub and restaurant 1 mile. Family bathroom with bath, wash hand basin and toilet. En suite shower room, in the master bedroom, with shower, wash hand basin and toilet. In the small township Port Henderson, not far from Badachro and Gairloch in Wester Ross.